Researchers claim coconut oil could reduce your risk of Alzheimer's disease. Heart disease, stroke, high blood pressure, obesity and diabetes put older people at an increased risk of Alzheimer's disease. Inflammation, changes in the brain affects neurons, which cause certain parts of it to shrink and the production of free radicals are some contributing factors of the disease. Social engagement, healthy diet and regular exercise are some ways you can prevent Alzheimer's. However, new research has now found coconut oil can also play a positive role. The study was conducted by a team from the British Journal of Nutrition and Journal of Alzheimer's Disease. Coconut oil has already been found to help reduce the risk of heart disease, as well as aid weight loss. This oil contains 92 per cent saturated fats. 48 per cent of this fat comes from lauric acid and 7 per cent comes from capric acid. They are medium chain fatty acids (MCFA).Virgin Coconut Oil (VCNO) is obtained from fresh coconut through various methods like cold pressed and mechanical. This natural process helps to maintain all of the nutrition like vitamin-E and minerals. 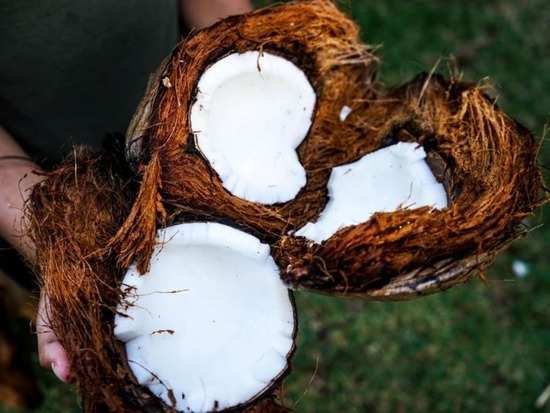 Researchers from the National Journal of Physiology Pharmacy and Pharmacology and International Journal of School and Cognitive Psychology have found a positive link between organic coconut oil consumption and prevention of Alzheimer's disease. It helps to improve memory and cognitive performance in patients suffering from the disease. Multiples studies have found consuming just 20gms of VCNO/MCT oil every day can significantly improve cognitive performance and memory in people with neuronal disorders. However, further research is needed to understand why this oil has such an impact. 4Can retail therapy help people unleash their emotions? 6Want to stay hydrated this summer? Give popsicles a try! 8Puffy eyes and dark circles? Here's an eye cream you must use!